For further information please contact Pandit Ji (8.00 - 10.00 & 17.00 - 21.00). 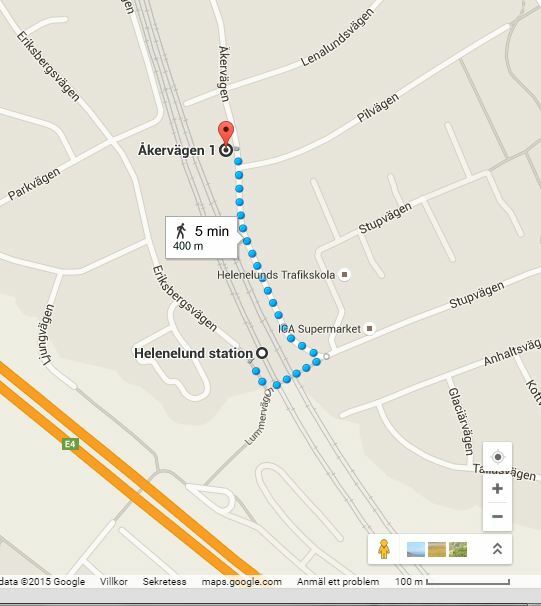 Take the commuter train (pendeltåg) towards Märsta and get down at Helenelund station. Take a left when coming out from the station and then left again, walk along Railway track in a northward direction for about 400 metres and you will find the temple on your left hand (see map on this page).